The O3U-3 Corsair was a carrier observation aircraft in the early 1930s. This model was entered in a Smithsonian-sponsored model contest. The Vought O3U-3 Corsair entered service the U.S. Navy in the early 1930s, with 75 aircraft eventually being built. 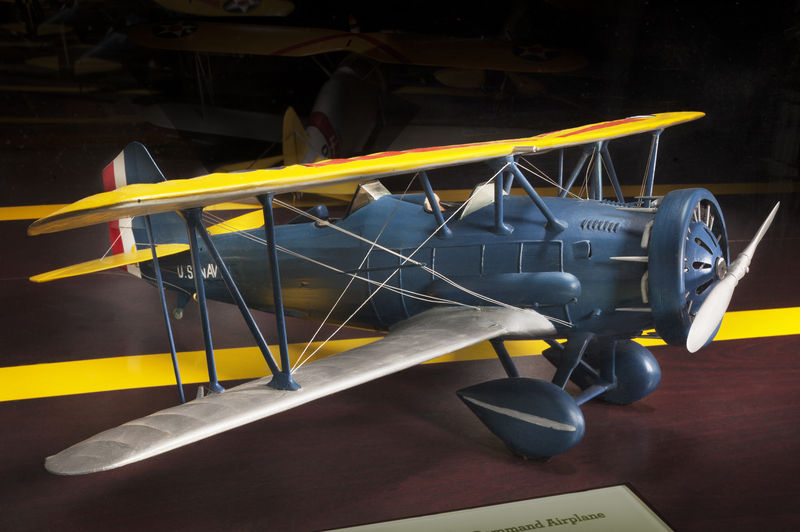 Proving that model building was not only a male pastime, this model was built by Grace Beckwith in the colors of an command aircraft. She entered it in the 1938 Scale Model Airplane Contest sponsored by the Smithsonian Institution. Photo by Eric Long, Smithsonian National Air and Space Museum (NASM 2014-04348).